Complete your coursework from anywhere in the world. Take the classes you want or need the most to graduate. 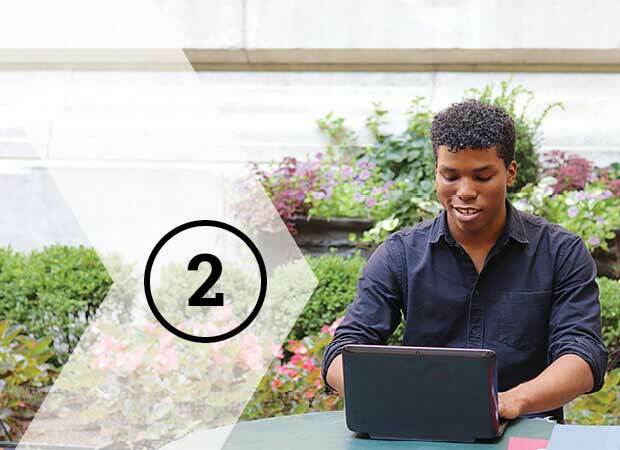 Design your own schedule by choosing from multiple sessions online and on-campus simultaneously. Receive the same credit as on-campus courses. If you are participating in a study abroad program, you are not eligible to participate in SOUP courses. Find which courses are offered and review course and proctoring requirements. Courses follow the same schedule as on-campus courses. Make sure you can fulfill proctoring requirements and course deadlines before you register. Registration opens on March 25 according to your time ticket. There is no application or sign up required prior to registration. View a list of departmental contacts if you require permits or overloads. Transient students are welcome to apply for the Summer 2019 term and if admitted can register for SOUP courses. The transient deadline is May 1 and is extremely FIRM. Find which courses are offered and review course and proctoring requirements and deadlines. Courses follow the same schedule as on-campus courses. Make sure you can meet all requirements before you register. Add courses according to your assigned time ticket via Buzzport. All SOUP courses have a section code of QUP. Register early, classes fill up or cancel for low interest. Watch for a series of SOUP communication emails in your Georgia Tech inbox for next steps. All emails will be added to a Student Resources tab on this page for later reference. If you require accommodations of any kind, please work with the Office of Disability Services and communicate finalized accommodations to the SOUP Team. Most course lectures are streamed live and recordings are posted online the same day the class meets on campus. For most of the courses in the program, a proctor is required to administer course quizzes and exams. You will not be allowed to take any exams without an approved proctor and not having an approved proctor is not a valid reason for an extension on any exam. Anticipated exam schedules will be posted to the course listings as the professor shares it with us. If exam dates for your course aren't posted yet and you need them for planning purposes, please contact your professor. Time zones are taken into consideration during scheduling but all due dates and times follow Eastern Standard Time (EST). Any changes in the exam or assignment due dates and times are the discretion of the professor. For most of the courses in the program, a proctor is required to administer course quizzes and exams. The proctor will act as a Georgia Tech official who will monitor you during the allotted exam time. 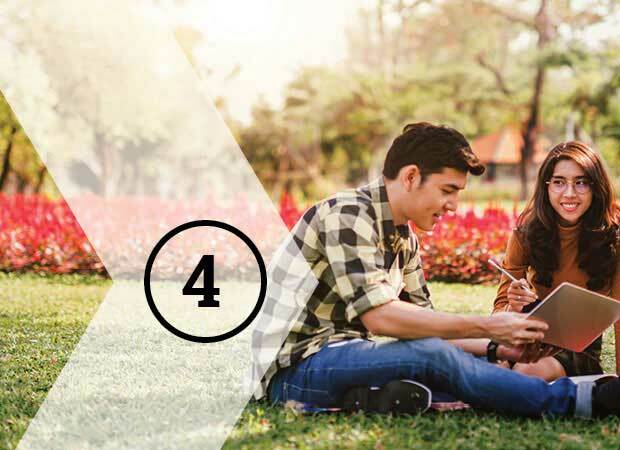 Courses will be predetermined to use no proctor, an online proctor, or a physical proctor. You are not able to choose your own preferred method. Proctor methods are published on the course listings. Please check back often as these pages are updated daily. Your course does not require a proctor to administer quizzes and exams. If your course requires an online proctor, you must utilize Proctortrack, Georgia Tech's third-party proctoring service, for quizzes and exams. This process allows you to complete the online exam using a webcam while the online proctoring service monitors your computer. Most fees for the online proctoring services will be paid for by Georgia Tech. You are responsible for making sure that you meet Proctortrack's technical requirements before you take an online proctored exam. If your course is not using an online proctoring service, you must nominate a proctor (preferably three people) who will administer your quizzes and exams. Proctor nominations must take place by the end of the first week of class and any associated fees are your responsibility. To access SOUP courses, you must have access to a computer and a reliable Internet connection. 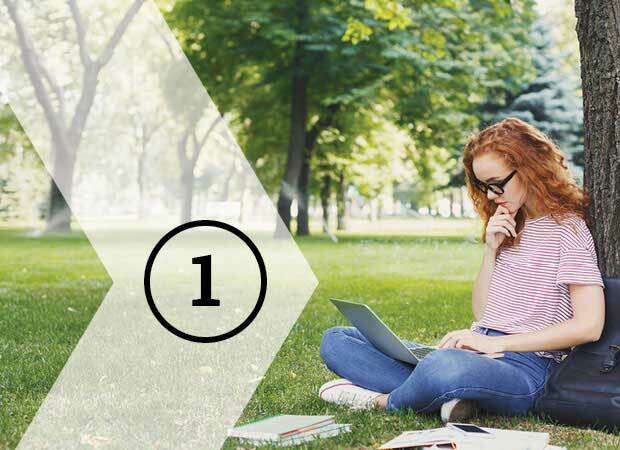 For courses that require an online proctor, you are responsible for making sure you meet Proctortrack's technical requirements before you take an online exam. Some courses may require special tools or software. This information will be provided within the course syllabus. Visit the Georgia Tech Bursar's website to view tuition, fees, and payment deadlines for Summer 2019. All SOUP courses adhere to the exact same academic conduct policies and honor code policies as any other on campus course at Georgia Tech. Violations to this code will result in disciplinary action. How do I register for SOUP courses? The registration process is nearly identical to the other undergraduate courses. The only difference is that you must select the “QUP” section of the course; doing so tells Georgia Tech that you want to register for the online offering. Prior to registration you need to review the course requirments on the SOUP website to ensure you can meet them. Registration will open March 25 and students register according to their time ticket. Do online and on-campus students follow the same course schedule and deadlines? Yes. Course lectures are streamed live and recordings are posted online the same day the class meets on campus. Most time zones are taken into consideration during scheduling but all due dates and times follow Eastern Standard Time (EST). How much time can I expect to spend on reading, course assignments, etc.? This is difficult to estimate, since all students have different learning styles. A general rule is three hours a week per credit hour, in addition to viewing the course lectures. Therefore, someone taking two courses at three credit hours each can expect to spend roughly 18 to 20 hours per week on coursework. Before registering for a course, review the syllabus, and be aware of due dates and times. Any changes in the exam or assignment due dates and times are the discretion of the professor. I will be taking courses outside Eastern Standard Time. Do I still need to submit assignments, quizzes, and exams by Eastern Standard Time deadlines? Yes. Time zones are taken into consideration during scheduling but all posted lectures, exams, and assignments are Eastern Standard Time (EST). If you have planned vacation, work conflict, or time zone concerns, it is your responsibility to contact your professor and comply with their final decision. What are the exam dates for my SOUP course? We’ll add this information to the course listings as faculty share it with us, so please check this web page often. If the exam dates for your course aren’t posted yet and you need them for planning purposes, please contact your professor. Can I enroll in both online and on-campus courses for the Summer term? Yes. You can now take online SOUP classes and Atlanta on-campus classes simultaneously regardless of the dates of your program. If you are participating in a study abroad program, you are not eligible to participate in SOUP courses. Can I take SOUP courses if I am enrolled in the study abroad program? No. Students participating in SOUP courses, are unable to take classes through the study abroad program. A proctor is an individual who acts as a Georgia Tech official to monitor your course exams and quizzes. How do I know what proctoring method my course is using? Proctor methods are determined by course and not student preference. Please check the course listing to determine what proctor method is being used prior to registering for the course. My course requires a physical proctor. How many proctors should I have? We recommend that you nominate at least three proctors in the event your main proctor cannot administer an exam to you for any reason. You will only need one proctor for each test you take. All of your nominees must meet the proctoring criteria to qualify as a Georgia Tech proctor. How do I nominate a physical proctor? Once you register for a SOUP course, your registration information is imported into the proctor administration tool (PAT) and you'll receive a message once the import is complete. Please note that this is not immediate and there will be a delay. We’ll contact your proctor nominees directly and take them through an approval process. Domestic located proctor nominations require at least 48 hours and international located proctor nominations require at least on week. Please take into account the timeframes for approval processes and allow ample time for the screening process. After we approve one of your nominees, your proctor will have all the information necessary to administer your exam. If we deny one of your proctor nominations, it’s your responsibility to find another candidate who meets the proctor qualifications (nominating a proctor doesn’t guarantee approval). Who can proctor an exam? If the course requires a physical proctor, it is your responsibility to find a qualified proctor to administer each exam. The proctor can be your manager, supervisor, or human resource manager at current employer as well as a teacher, professor, or administrator at a nearby college, university, or testing center. Proctors cannot be family members, friends, religious leaders, landlords, acquaintances, high school educators, or coworkers. When selecting a proctor, choose someone who has the capabilities and resources to administer your exam in a setting that insures you’ll have total concentration during test time. This can be a library room, conference room, or classroom. Proctors must have reliable access to a computer and the Internet, the ability to scan, print, and download documents, a valid driver’s license or passport, and the ability read, speak, and understand English. We will need to speak to your poctor over the phone. Proctors may charge fees for their services. Any fees incurred are your responsibility.